We here at Seoulbeats have been somewhat disappointed with K-pop’s summer offerings this year. 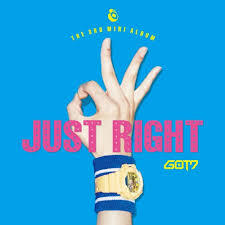 Luckily, JYP‘s boy group Got7 has returned with their fourth major Korean single, “Just Right,” and it is absolutely just right. It has all of the bright colors, fun dance moves and catchy beats we want this time of year but with a more timeless message than we’ve seen anywhere else. With a song that immediately grabs the listener with its catchy beat and repeating chorus, it isn’t difficult to understand why the MV is racking up the views. Listen a little harder — or turn on those subtitles — and you’ll see that it isn’t only the tune that is winning hearts. The lyrics are all about loving yourself, and Got7 delivers that message in the MV through a perfectly executed plot involving a sweet, but self-conscious, young lady. The use of an actress clearly on the younger side — just entering her teens, when insecurity really sets in — serves to enhance the positive message of music video. The concept of her being worried about her appearance is easy to understand because K-pop has such clear beauty standards to live up to. She isn’t overly “ugly” (which would have made the MV unrealistic), but she has a few minor traits that could be considered “flaws,” such as freckles and imperfect teeth, exactly the type of things Got7 can ensure her just make her unique. Had they used an actress that was slightly older and fit the K-pop beauty standards already, it would have given the lyrics an entirely different meaning and would have changed the MV from a sweet encouragement to a reinforcement of unrealistic standards. Too many times there are songs and MVs that talk about how beautiful a specific girl is, and the example given is an actress or idol whose looks create an unreachable ideal that only serves to make normal girls feel worse about themselves. Another thing that could have gone wrong but didn’t is the concept of Got7 as tiny guys in a young girl’s bedroom. Perhaps it is because the group’s natural demeanor tends to be on the goofy side, but the entire vibe of the video came across as playful and sincere even in places where a creepy vibe could have taken over. The tone of the MV is entirely innocent, that of an older brother telling his sweet little sister that she is perfect the way she is right now. Even Jackson being inappropriate with whipped cream didn’t ruin that, thankfully. The lyrics also reinforce the youth of the concept with lines such as “get off the scale and onto my back,” encouraging the girl to forget her worries of weight and take a piggy-back ride. 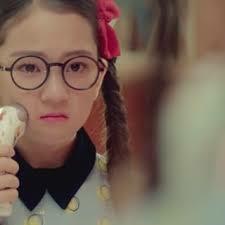 Equally youthful is the girl’s joy as she begins to take Got7’s compliments to heart. She dances along with them and jumps on her bed, playing with her stuffed animals and laughing happily. Speaking of dancing, and the members of Got7 in general, the choreography, facial expressions and overall physical playfulness in the MV matched flawlessly with the overall concept. Often it is how complicated a dance is that highlights it, but in this case, it is the seamless integration of the dance with the song and theme that makes it stand out. Once again, they didn’t ruin the tone by taking the dance over the top; it has just the right amount of silliness. Similarly, the members’ facial expressions are this glorious combination of cute and hilarious that takes the whole feeling of the choreography up a notch. Special shout-out to Mark‘s puffy-cheek face. Finally, a mention must go to the set. The giant food and toys, which can sometimes look corny in MVs, were used in such a way that they looked practically natural. It’s difficult to make a set so fantastical and bright look natural, but they somehow managed that in this MV. I particularly liked that toy car scene because it poked fun in the best way possible at the stereotypical boy group MVs that use ridiculously expensive cars to add “cool” factor. 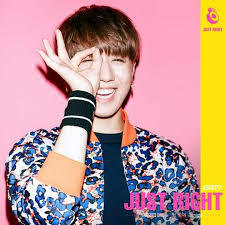 At the end of the day, Got7’s “Just Right” isn’t only a fitting track for summer: it’s a perfect track for any season. It has a timeless message and a cheerful tone that would be just the thing to perk you up on any bad day. It is a miracle that so many aspects that could have gone wrong went so right; from the dance, to the lyrics, to the song, to the acting, it was all flawlessly integrated into one happy concept. I’ll be listening to this song for the rest of the summer, and I’ll also be taking Got7’s advice to heart: how about you, readers?